Based on Fort Matanzas (1740) but should be suitable for plenty of periods. 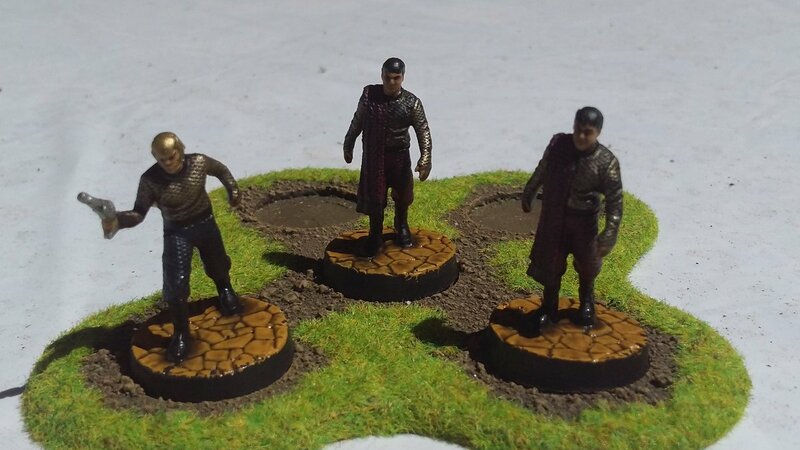 Took a chance on some Star Trek heroclix. Fully expecting horrible sculpts and paintjobs, but pleasantly surprised at how they scrubbed up. 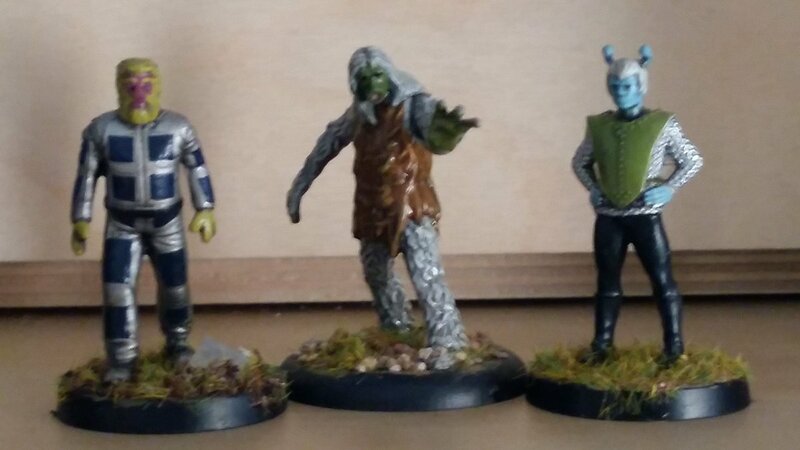 Next, a Tellerite, the M-113 creature and an Andorian. 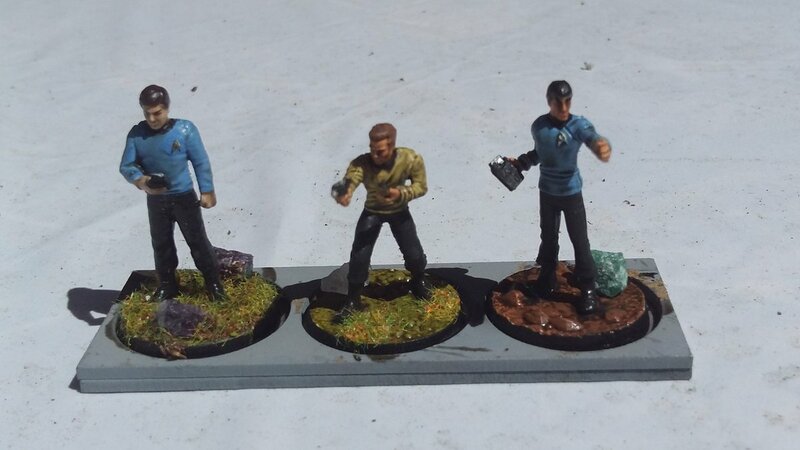 Heroclix Dr McCoy alongside Modiphius Captain Kirk & Mr Spock. Hahah, a genuine *wait, what* moment if ever there was one. I'd forgotten all about the bug. Rich, Klingon rules football would be very interesting. "Federation representatives! We conclude that the conflicting interests of our empire and your federation in this star system can no longer be resolved through negotiations as mandated by the Organian treaty. "Because neither side can resort to using weapons of mass destruction, we now challenge you to send your best diplomats to meet ours, at dawn on the east lawn, where we will crush you in your own Earther sport called rugby, and thus decide the future of the Ajilon star system! "You may now inspect the ball." 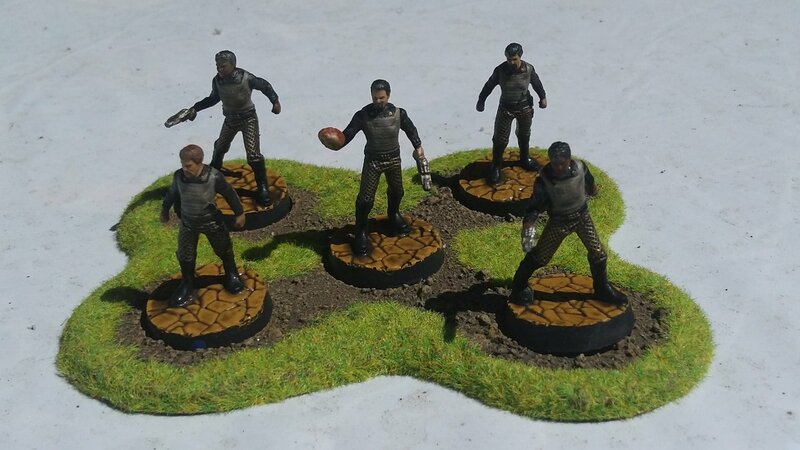 As much as a Klingon rugby or BloodBowl team would be cool, I'm afraid it's more mundane. It's supposed to be a Tribble. 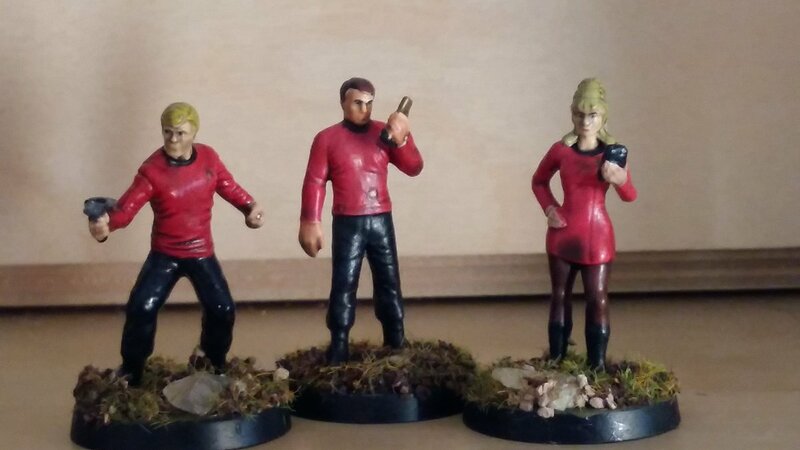 In one of the novels, Scotty challenges a Klingon to compete with the ancestral weapon of the Scots. They play golf.